If you are associated with the management or maintenance of apartment or condo properties, please also see engagement information for multi-unit stakeholders. Thank you to the many Edmontonians who shared their thoughts on how waste is sorted and managed, through our online surveys and at drop-in sessions. 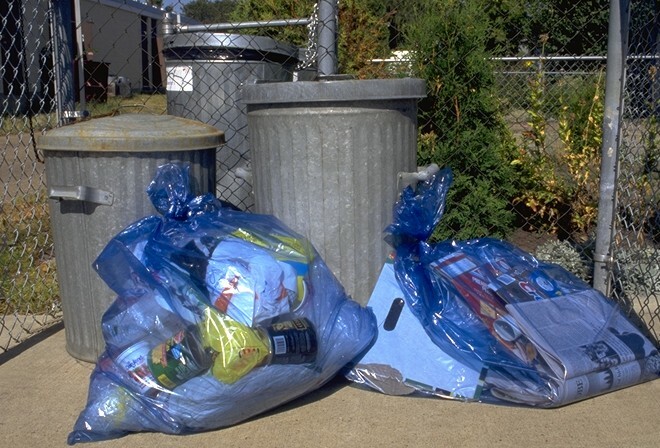 Input from the public and stakeholders will help inform decisions about Edmonton's future waste system and determine which recommendations are brought forward for City Council approval. Results from our public engagement will be included in a publicly-available What We Heard report that will be presented to Council later this year. 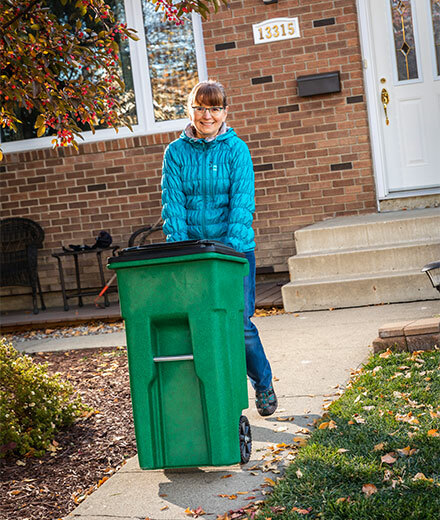 Last fall, we heard that the majority of residents supported moving to carts for garbage collection, instead of using a bag option. Residents would place their waste in these carts, which are then picked up and emptied by trucks that have a mechanical arm on the side. 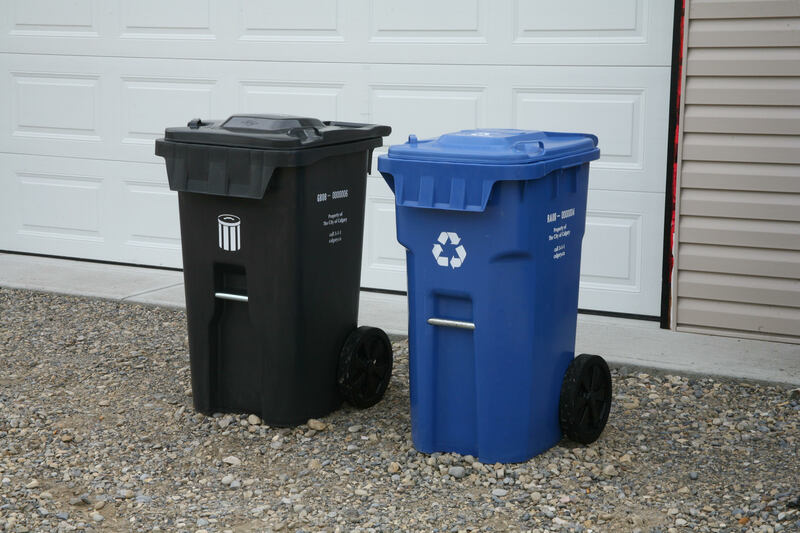 This past winter, residents living in single-unit or semi-detached houses had the opportunity to vote for their cart-based preferences, such as options for cart sizes and costs, and if Edmonton should consider switching from blue bags to blue carts for recyclables. 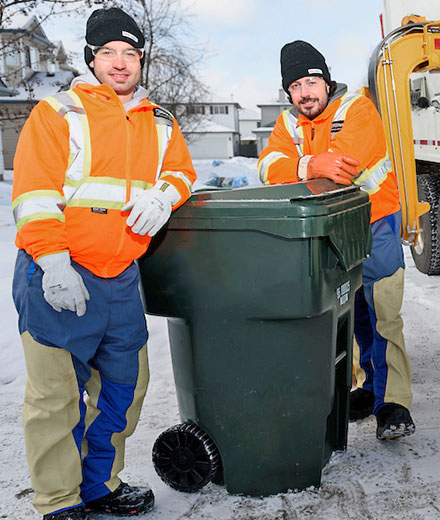 Input will help shape decisions made about future changes to curbside waste collection. Refer to green cart image above to see size of 120L black cart option. Use our Waste Calculator to help you determine what different collection options might look like in your home. Residents also had an opportunity to provide feedback about proposed changes to grass, leaf and yard waste collection. Many cities in Canada, and other countries, have adopted a Zero Waste goal. 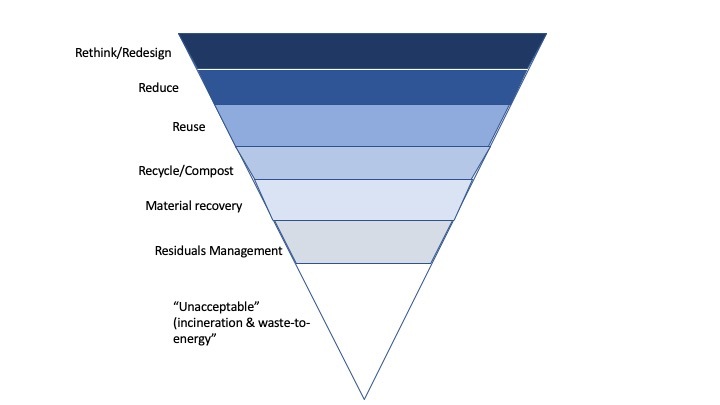 This means working towards keeping as much waste as possible out of landfill by focusing on activities at the top of the zero waste hierarchy like waste reduction and reuse, followed by innovative waste sorting, recycling, processing, composting and more. In the fall, residents were moderately supportive of a Zero Waste goal for Edmonton. This past winter, residents were asked for their thoughts on the kinds of programs and services Edmonton should consider if we adopt a Zero Waste approach. We will be looking at ways to help residents dispose of items that should not go in the garbage, or that could be collected and recycled through additional programs. Last fall, we heard that some residents face challenges with bringing their waste to Eco Stations and Big Bin events. We heard from residents that they would like to see more educational opportunities and materials to help them understand and learn about future changes to waste programs and services. We asked residents for their input on what opportunities, communication methods and resources they would like to have available, and how they think the City could get people on board with the proposed changes and help ensure compliance. Apartment and condo residents were asked for their input on educational materials and programs they would like to see for residences, and if there is interest in volunteer ambassador programs for buildings. Many cities have passed legislation or policies that restrict or eliminate single-use plastics: many of these items, such as straws, plastic bags and takeout food containers, are not typically accepted for recycling, and are meant to be thrown away after one use. A single-use plastic policy is also being considered for Edmonton. We asked residents which items should be considered for restriction, for use with an extra fee, and/or for elimination, and if there should be any exemptions, if these changes were to be introduced. Do you live in a single- or semi-detached house with curbside waste collection? This waste calculator can help you understand what some of the proposed options for garbage and food scraps collection could look like for your household. Public engagement information for residents in houses, apartments and condos. 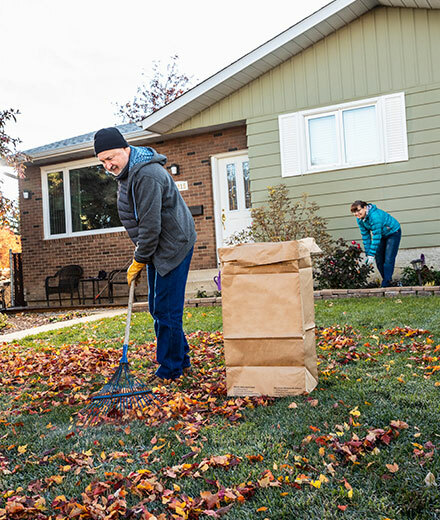 Information about upcoming changes to collection of grass, leaf and yard waste.